Can I Leave a Slow Cooker on Overnight? Many people aren’t entirely sure on how to use a slow cooker and if it’s completely safe to leave a slow cooker on overnight. Slow cookers are designed to be left to cook for long periods of time, so the truth is that it’s entirely safe to leave your slow cooker on overnight, if you’re out the house or if you’re at work all day, as long as you follow all the directions and the manufacturer’s instructions. We’ve collated some slow cooker tips to help you ensure that you’re completely safe when using your cooker and your mind is at rest. If you’re planning to leave your slow cooker on overnight, make sure it’s set to be on a low heat across an eight-hour period. A wooden surface isn’t completely heat proof, so if you can, place your slow cooker on granite or tiled service. 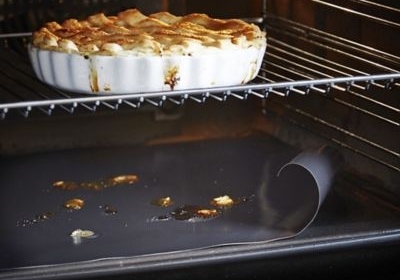 The surface should also be flat and hard so there’s no risk of the slow cooker falling over or spilling. 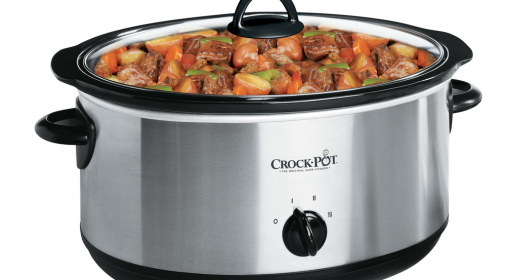 Not sure what to cook when using a slow cooker overnight? Choose a simple slow cooker recipe that needs to be cooked for a long period of time. You can find out what to cook in a slow cooker by reading our previous blog post: How to use a slow cooker and what to cook. Keep the cords of your slow cooker away from liquids to avoid a fire hazard. There’s a chance of an electric fire breaking out if the wires are hot and come into contact with any liquid.